If Shrek the Third proved anything when it arrived in 2007, it’s that sometimes you really can have too much of a good thing. Even a franchise as entertaining as Shrek could go wrong. And boy, did it go wrong. The first Shrek is still one of Dreamworks’ best movies, and Shrek 2 isn’t too far behind, being one of the better sequels out there. But Shrek the Third is not only a disappointment in relation to its predecessors. It is, quite simply, a bad movie. The first two Shrek’s were smart, well-written, and were built around the clever motif of turning the world of fairy tales on its head. That motif is still present in Shrek the Third. But the smarts, the writing, and the cleverness didn’t come with it. The story – or more accurately, stories – lack any real focus, and the results feel more like a series of unconnected events loosely roped together than a proper story. The movie begins with Fiona’s father, the king of Far Far Away, dying. 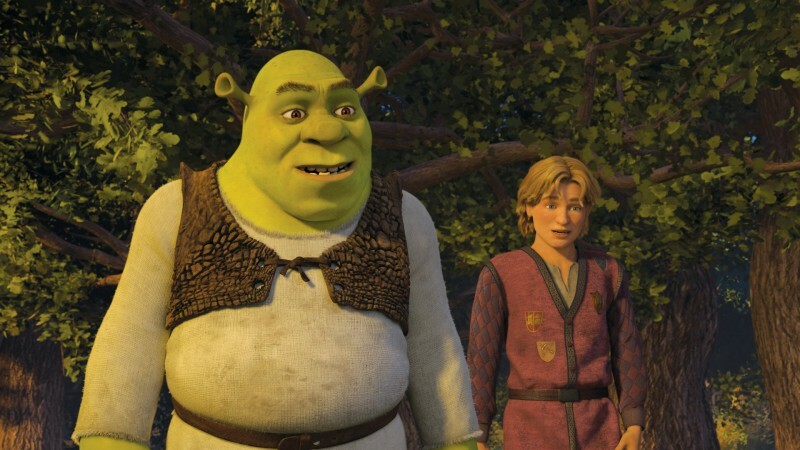 Shrek would then be the proper heir to the throne, but being an ogre is the furthest thing from royalty in Shrek’s eyes, and so he – along with Donkey and Puss in Boots – sets off to find Fiona’s cousin “Artie” who is next in line. 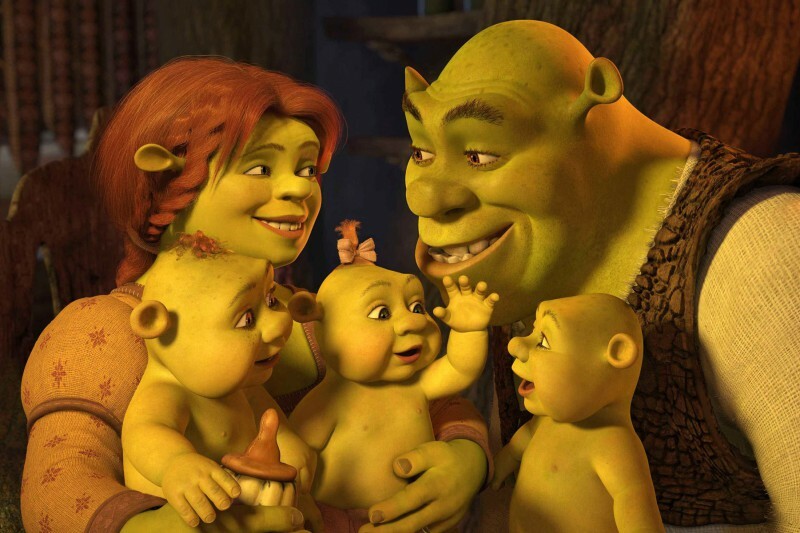 That setup alone is already pretty weak, which might explain why Dreamworks saw fit to toss in two other major plots: One of which, as it turns out, is that Fiona is pregnant, which gives Shrek something to think about while on his journey. Meanwhile, Prince Charming, still angry about the events that occurred in Shrek 2, seeks revenge on Far Far Away by recruiting a small army of fairy tale villains to siege an attack on the kingdom. Admittedly, the plot with Prince Charming actually provides some fun. I’ve always enjoyed when a secondary villain gets promoted to big bad, and this particular instance gives us a few funny moments with the fairy tale villains, and it has an amusing resolution. But it never really meshes with the other plots, nor are those other plots particularly good on their own merits. It’s almost as though the three stories were all thrown around Dreamworks as pitches for a third Shrek film, and then the movie began production before any one of them were really decided on. But Dreamworks picked up the pieces anyway, slapped them together, and hoped for the best. It didn’t work. The first Shrek was genius for making an ogre the hero in a fairy tale world, and for turning those fairy tales into a series of jokes for all ages. Shrek 2 was almost equally genius for showing us that even fairy tale couples can have marital issues after their happily ever afters. 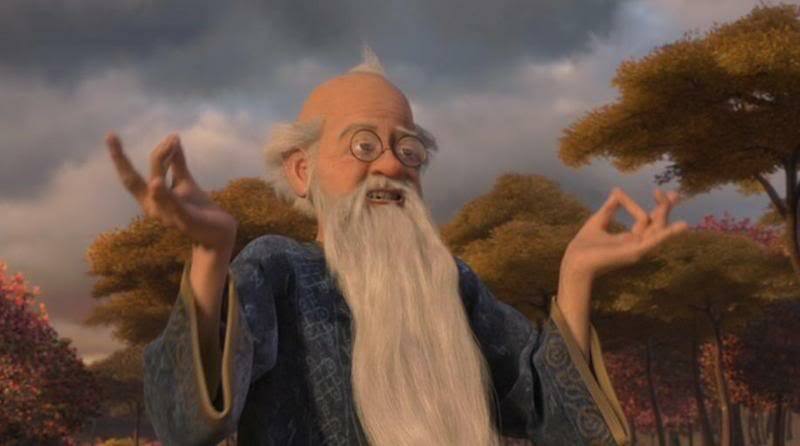 But Shrek the Third lacks anything near the levels of creativity of its predecessors. It really is little more than a cash-grab. The animation remains more or less the same as Shrek 2. It doesn’t have the same leap as the second film had from the first, but there’s nothing particularly bad about it, either. Everything else, however, is either relying on recycled ideas that have run their course (Donkey and Puss’ comedic tandem feels like its out of steam), or are new additions that are poorly thought out and sloppily executed. Even the new characters introduced here aren’t memorable. Artie (or Arthur, as in “King Arthur”) is an annoying high school kid with very little to offer outside of that description, and only seems to serve as a means of getting Justin Timberlake into the franchise. Meanwhile, Merlin the wizard shows up (mainly for plot convenience), but his ‘crazy old man’ persona feels like a forced (and ineffective) source of humor. The returning characters haven’t changed much, and their voice work is all good (Mike Myers, Eddie Murphy, Antonio Banderas and Cameron Diaz all return), but even they seem like they’re just going through the motions. Shrek himself seems Shreked out. Shrek the Third may promote itself as a comedy. But seeing Shrek fall this far from greatness, after he once boasted so much promise and exuded such entertainment, is nothing short of tragic.